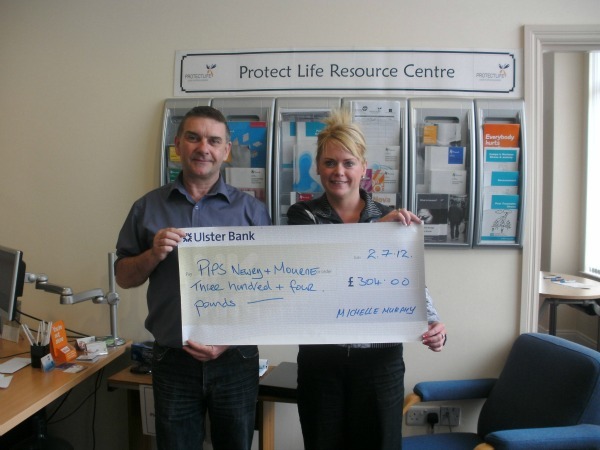 Michelle Murphy presents a cheque for £304 to Seamus McCabe following completion of Newry City Half Marathon. This is Michelle's second time completing the Half Marathon and she did so in 1 hour and 59 minutes, so very well done to her. Michelle and everyone at PIPS Newry & Mourne would like to thank all those who sponsored her in this event.